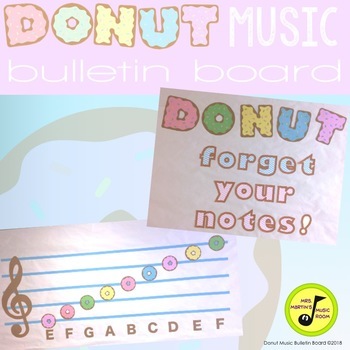 Donut Music Bulletin Board: "DONUT" forget your notes! How sweet is this bulletin board?!? Donuts are so on trend right now, and you'll be the talk of the whole school with this creative, cute, and trendy display. Nine delicious donuts adorn the treble staff, which you can label with the pitch names. Then, print or cut the clever caption and everyone will love it! 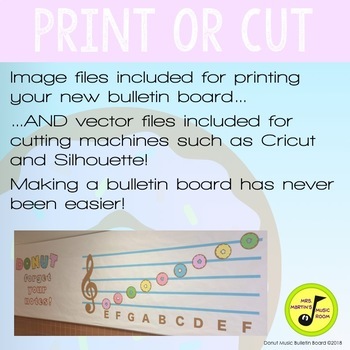 Your purchase includes files for printing with a standard printer or cutting with a cutting machine such as Silhouette or Cricut. You receive SVG files for cutting, JPEGs for resizing and printing as needed, and PDFs presized for easy printing. 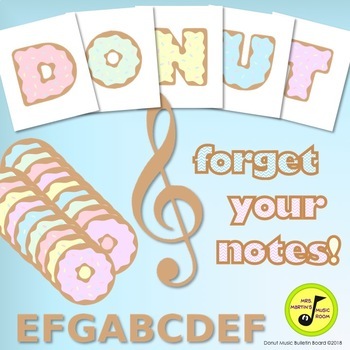 After download, please return to Mrs. Martin's Music Room to rate and review this product. Every rating helps improve the quality of offerings on Teachers Pay Teachers. Every review earns you free credits toward future TpT purchases. 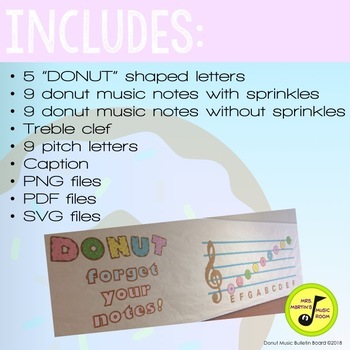 Thank you for you interest in Mrs. Martin's Music Room!